Ok everyone, now the moment you all have been waiting for, the results from the triple Group Build. It was a fun 6 months that saw a lot great demonstrations of ship building. 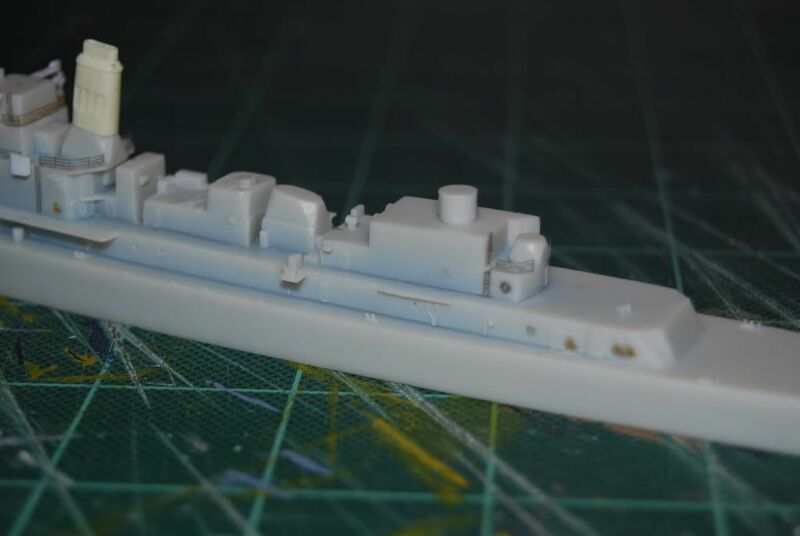 I want to give a huge thanks to Battlefleet Models, White Ensign Models, Rob McCune on behalf of Dragon Models and of course Tim Dike and Sean Hert here at Modelwarships.com for making this possible. Now without further ado, I give you the results! April 15th – October 15th, 2011 Group Build Awards Results. MooMoon, He posted the most how to’s and was very encouraging to others. 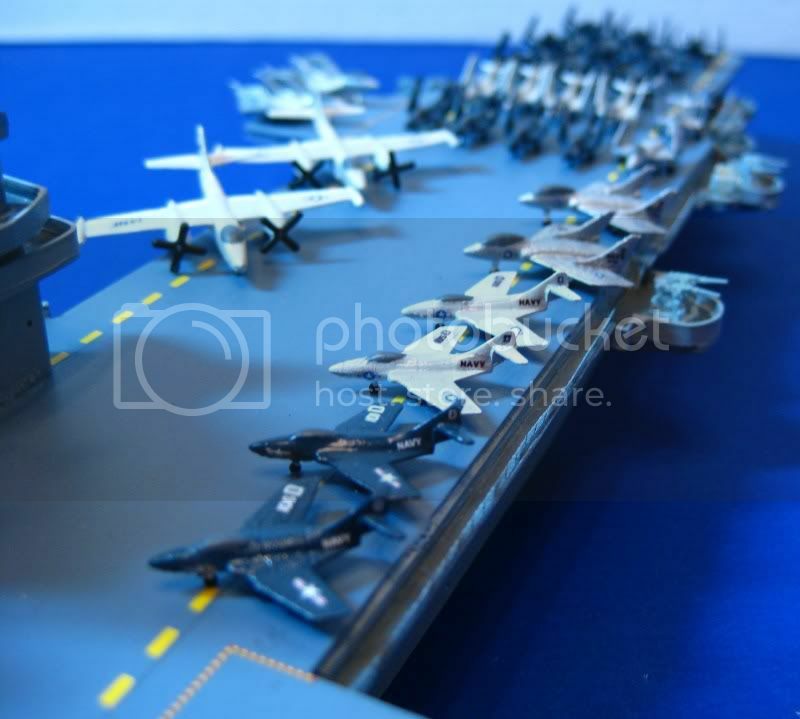 He posted many in progress shots of his beautiful scratchbuilt destroyer. Wow, that was some awesome builds everyone That certainly was some of the hardest judging that I have ever done. My hats off to you gentlemen, I only hope that I can build to that level someday. If all of the above builders will contact me via PM or E-mail, I will begin the process of getting you all your hard earned prizes. Agree. I haven't done a sub in more than 10 years and I have just acquired an early HP models Surcouf at ESM. I was going to start her soon-ish but I can wait for a quick GB. With Christmas just around the corner, maybe we could do a quick one with December 25th being the deadline called "A Silent Night with the Silent Service" since we haven't touched Subs yet. Sounds good Matt, I enjoy these builds even though I never finish the ships! BB's vs Carriers sounds good, and a 2 month Sub one is also pretty cool! Should be easy and quick. Great new subject choices! I have alot of ideas of what to do but, just have to settle on one particular kit(s). You know, I was just thinking that the other day. I was thinking that since we have done Auxilleries, Destroyers(2x) and Cruisers, that perhaps it's time to have the epic showdown and decide who the Queen of the fleet really is. 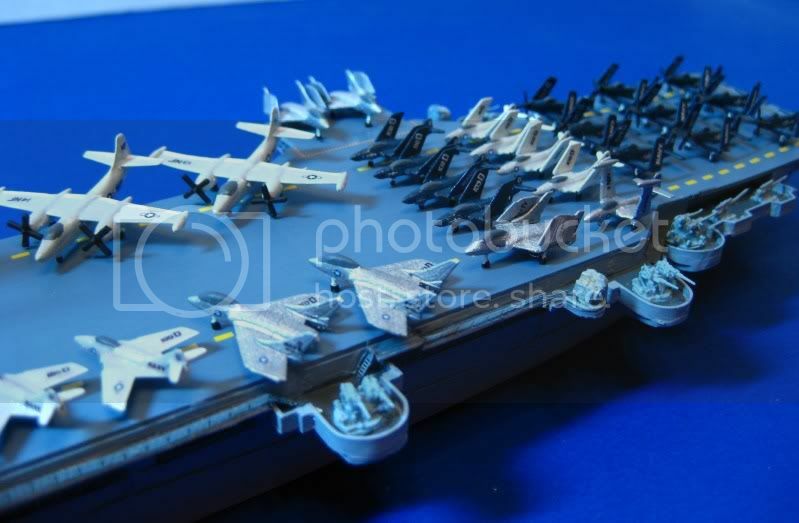 "Battleships Vs. Carriers" I don't know, something to mull over, but with the Dreadnought, Warspite and soon to be Queen Elizabeth there are some very exciting kits that give the Battlewagons a little edge in competition to reclaim their title. I will probably put it to a vote again if you all want me to run the next one again. With Christmas just around the corner, maybe we could do a quick one with December 25th being the deadline called "A Silent Night with the Silent Service" since we haven't touched Subs yet. If you go for the subs please make the decision quick as I'm nearly ready to delve into my first one on over 35 years. 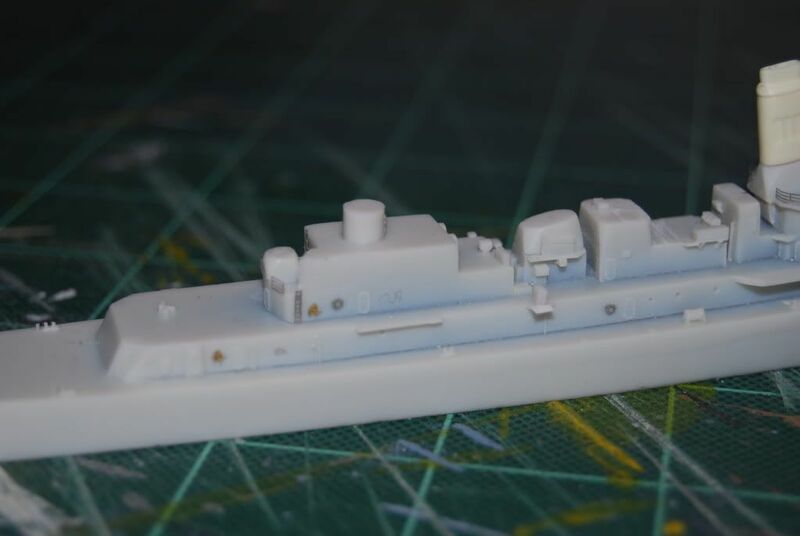 [b][i]"Battleships Vs. Carriers"[/i][/b] I don't know, something to mull over, but with the Dreadnought, Warspite and soon to be Queen Elizabeth there are some very exciting kits that give the Battlewagons a little edge in competition to reclaim their title. I will probably put it to a vote again if you all want me to run the next one again. With Christmas just around the corner, maybe we could do a quick one with December 25th being the deadline called "A Silent Night with the Silent Service" since we haven't touched Subs yet. Matt, time to decide the next one so we can hit it running? Ok, my decision is made and boy it wasn't easy! I have sent the ratings off to the Sponsors to get their input and consent on the winners. Once I hear back from them, I will post the results. If any of the above builders have any additional photos that they would like to be considered in the judging, please e-mail them to me or post them here. Great builds, this may be the toughest judging I have ever had to do. I hate to write down that I will not make it. Sorry to see a couple not make it, will still love to see them when done. We still have a little over 24 hours to go, the deadline is 11:59PM PST tomorrow night. have to opt out guys. too many things going on. 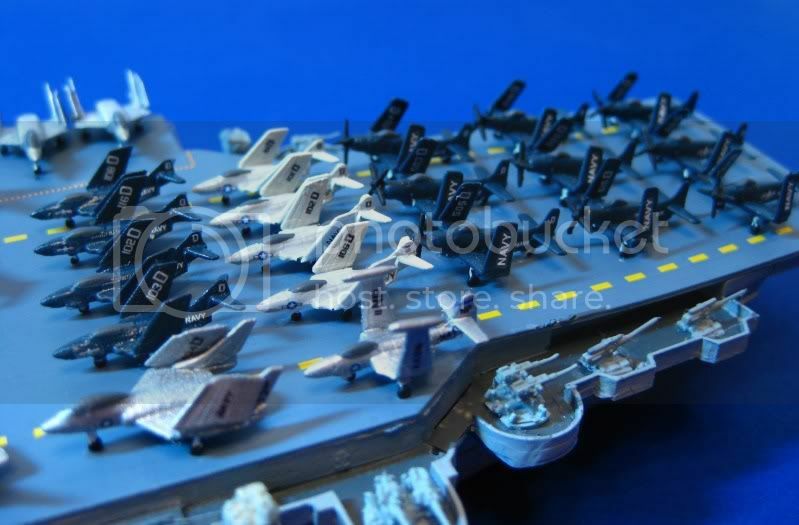 but will have something to show on carrier thread next weekend. 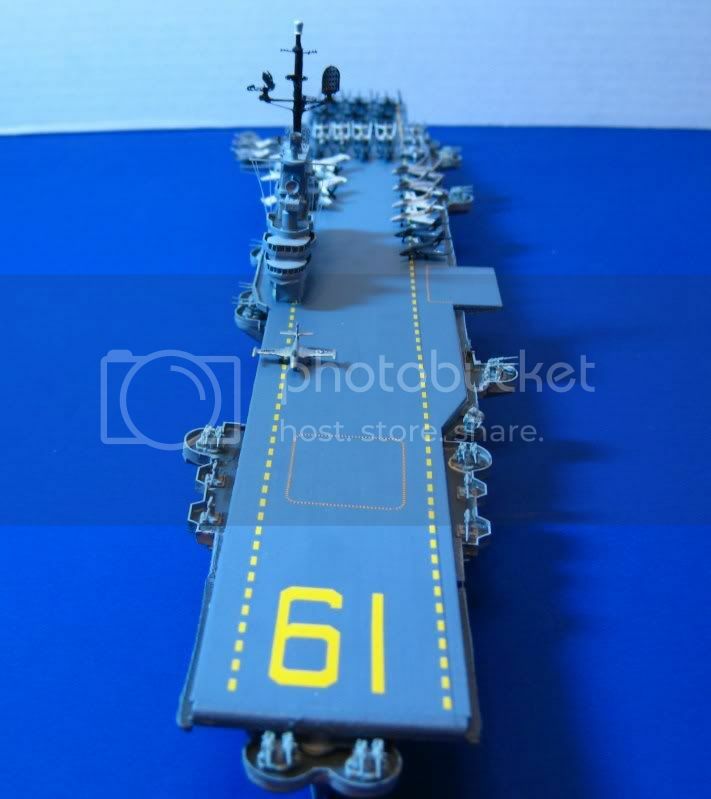 Here is my 1/700 scale SCB-27C USS Hancock CVA-19 circa 1956-57. 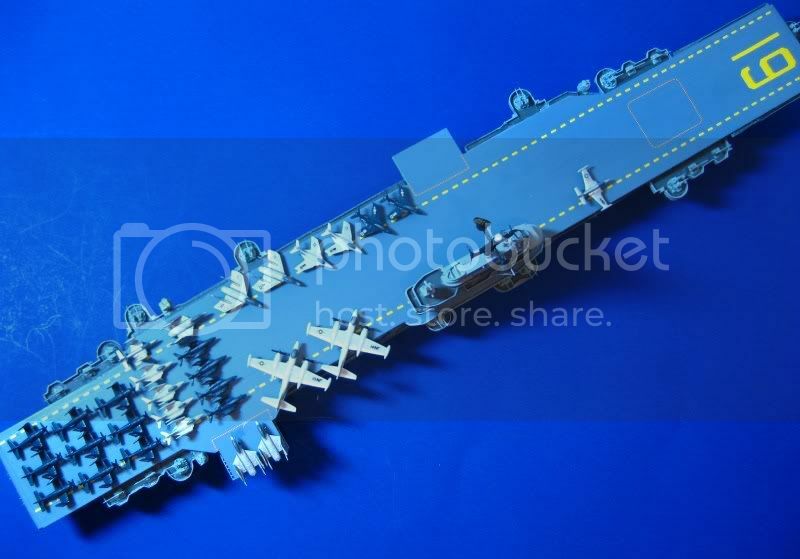 This is the 1/700 ISW USS Essex SCB-27A Kit that I did a lot of re-work on to make into a 27C. I wanted to show an airwing durring the transition from gloss blue to gloss gull gray. Post subject: Re: The Reuben James is Complete. Nice job Gary but you should have tacked it to the Cold War build...that's where this belongs! Post subject: The Reuben James is Complete. The Reuben James is finished. This new Acadeny kit was great, it had only one minor problem. The molded on vertical ladders do not line up slackened area of the kits photo etch rails. Other than that there was very little filling required. 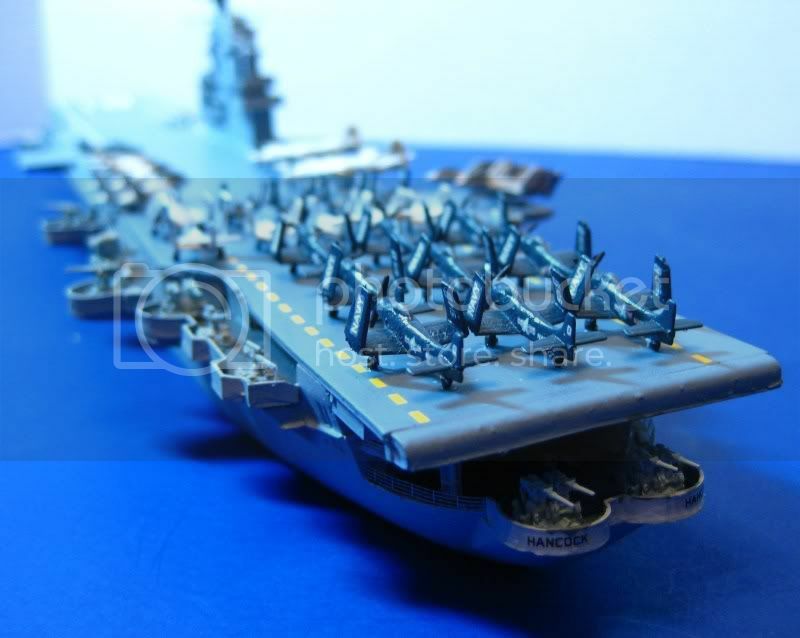 I desided to so the kits masts since they looked about right for the scale. i did replace the kits helicopter with one from my box of spares, the kits did not have all the required windows. I used Light Ghost Grey for all the vertical sides and Gunship Grey for the desk. This looks closer to the actual ship colors than what the kit recommends. Mods are finally complete; had to sand off some more cast on details than I originally thought. Mainly around the mainmast and forward stack. I wound up sanding off the kit flag bags and replacing them after all. I also added some more bracing to the ULQ-6 platform. I still need to add some lower braces but I wanted to wait until the railings were done first. Niko included some very finely detailed cast on hatches and other assorted hardware but not the vertical ladders. Personally I prefer this since the PE ladders are almost always better than anything you can cast on. I added all of the ladders I could find in photos as well as some life rings and fire plugs. I also began to add railing to the upper decks; man oh man... 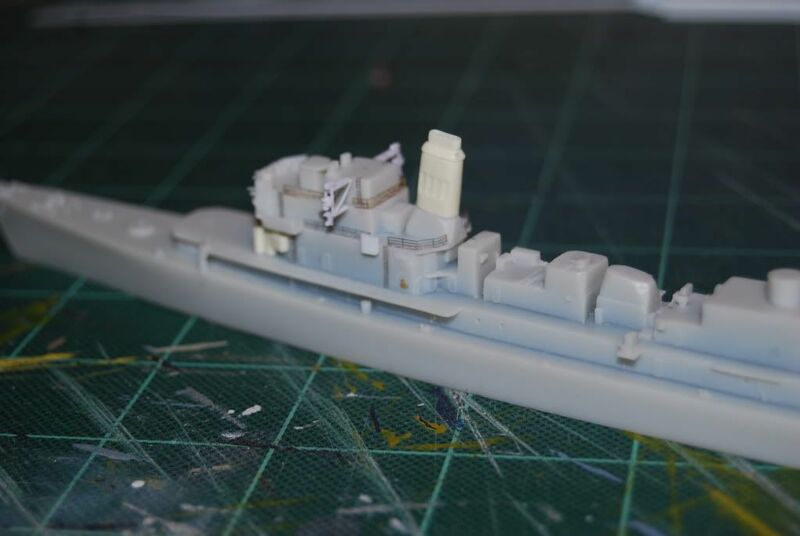 I caution anyone building this kit to LEAVE OFF the forward funnel until you have ALL of the railings done on the forward superstructure. That little bugger cost me several hours in extra work and lost railings. Oh well, live and learn. I also noticed I grabbed 3-bar railing instead of 2-bar for the superstructure Oh well again. For sake of symmetry, I'll keep using 3-bar for the O-3 deck and below. I noticed my error and 2-bar will populate the upper decks. Working with all of that 1-700 railing brought me to my patience threshold so I'll wait to add the rest of the upper railing. I'm still debating on whether or not to try and add railing to the ULQ-6 platforms. I'll see if I have any left over in the end. 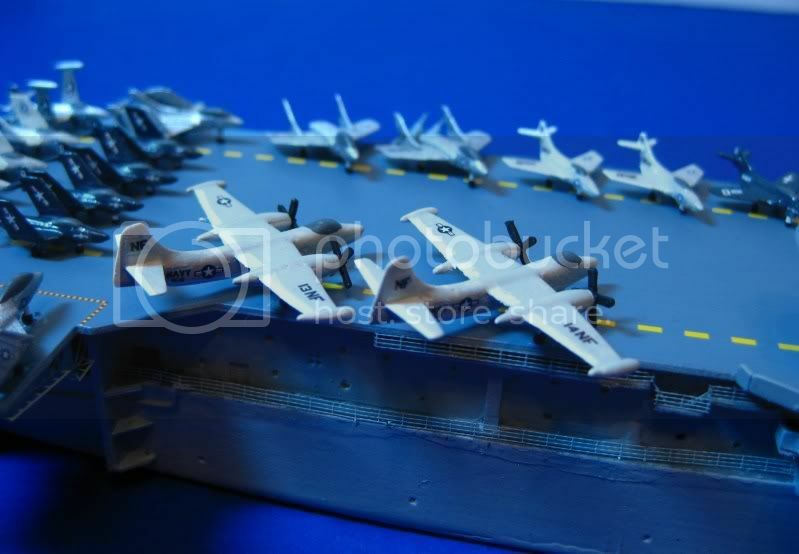 I'm going to leave off the main deck and one of the upper decks so I can mask and paint the non-skid patterns. I'll give it a shot of primer and Haze Gray in a day or so. Ten days lefts huh? We'll see if I can finish it in time. If not oh well, I'm not going to rush it and ruin everything. I'll re-evaluate this weekend but its looking good so far. Niko included some very finely detailed cast on hatches and other assorted hardware but not the vertical ladders. Personally I prefer this since the PE ladders are almost always better than anything you can cast on. I added all of the ladders I could find in photos as well as some life rings and fire plugs. I also began to add railing to the upper decks; man oh man... 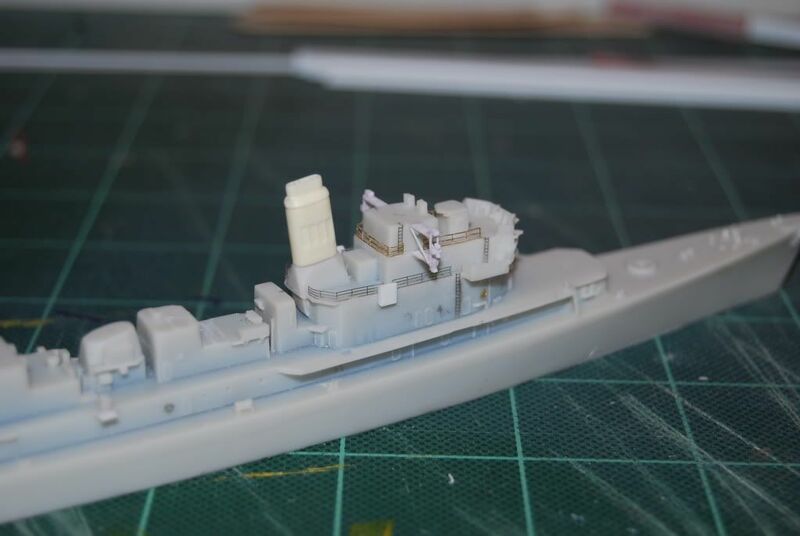 I caution anyone building this kit to LEAVE OFF the forward funnel until you have ALL of the railings done on the forward superstructure. That little bugger cost me several hours in extra work and lost railings. Oh well, live and learn. I also noticed I grabbed 3-bar railing instead of 2-bar for the superstructure :doh_1: Oh well again. For sake of symmetry, I'll keep using 3-bar for the O-3 deck and below. I noticed my error and 2-bar will populate the upper decks.